How Curious: A Machine Gun Turret On The Roof Of A Liquor Store? A photo from the Daily Oklahoman in December 1964 shows a tower atop Byron's liquor store. Byron’s Liquor Warehouse in Oklahoma City has been around since the state legalized alcohol in 1959. Listener Adam Hicks heard the store had a machine gun turret on its roof in its early days. Hicks asked How Curious: Is this true? And if so, why did the business need a gun? Byron’s Liquor Warehouse, named after its owner, Byron Gambulos, is one of the largest liquor stores in Oklahoma. “Byron is a charmer,” said Blake Cody, Gambulos’ grandson and the store’s current general manager. Gambulos grew up in Dallas, the son of Greek and German immigrants, where he worked in restaurants from a young age. An entrepreneur from the start, he reportedly opened his first hamburger stand when he was 10 years old. Gambulos went to military school and then served in the Philippines during World War II. Eventually, he moved to Oklahoma City with his wife and worked at several different businesses, including a dress shop. At the time, alcohol was illegal in Oklahoma. The state entered the union dry in 1907 and stayed dry for more than two decades after Prohibition in the United States, which ran from 1920 to 1933. 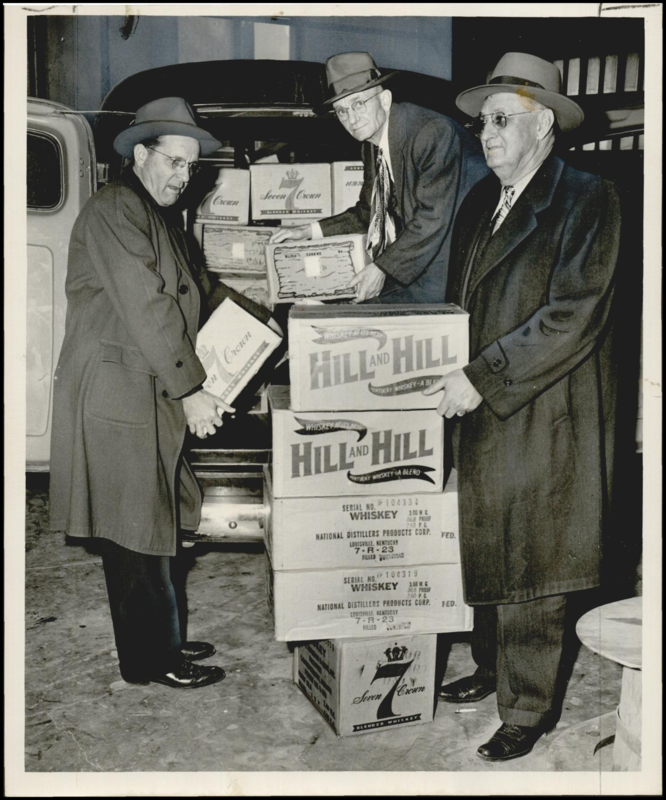 In April 1959, Oklahomans voted to repeal prohibition, or “go wet,” and Byron Gambulos was involved in helping leaders prepare for the legal sale of alcohol. “He had some state senators [and] congressmen approach him about setting up some mock retail stores to see what it would look like for retailers with liquor,” Cody said. Gambulos set up a number of model liquor stores across Oklahoma City and residents could apply for licenses to operate them. At one location, an applicant was forbidden from getting a license because he was a bootlegger, or had been involved in the illegal business of smuggling alcohol in the state, so Gambulos was offered the job. Gambulos accepted and soon started selling liquor at a small store near the state capitol building. He moved to the store’s current location at 23rd and Broadway about two years later. According to Blake Cody, the early days of legal alcohol in Oklahoma were chaotic. “The system here was all over the place. You had wholesalers doing kind of what they wanted, you had retailers doing what they wanted,” he said. Many retailers tried to fix market prices high for increased profits, but Gambulos refused. “We came in with the cheapest liquor prices to the consumer of any state in the whole union,” Gambulos told KGOU’s Jacob McCleland in 2016. According to Gambulos, Elvis Presley would send a truck to Oklahoma from Tennessee to buy beer from Byron’s. Photograph used for a story in the Oklahoma Times newspaper, December 1948. Caption: "Bootleggers of smoking and drinking merchandise took a whipping here Friday." Other people in the liquor business, some with rumored mafia ties, were not happy with the competition. In 1963, a man came into his office at the liquor store. “This guy drove up in a Thunderbird and came in with a briefcase and a blond lady,” Gambulos said. Gambulos and his family started receiving death threats. Someone threw a homemade bomb into Byron’s Liquor Warehouse, damaging a small section for the building. But, Blake Cody said his grandfather was open for business the next day. “Tons of people came in to … see the bombing [damage], so he turned that into a PR move,” Cody said. Gambulos reportedly sold $100,000 in liquor that day--his first six digit sales day ever. When the store was bombed again a short while later, Gambulos decided he needed protection. He built a rectangular, reinforced wooden structure with windows cut out on each side--a kind of watchtower--and put it on the business’ roof. Gambulos and his friends, including some off-duty cops and devoted employees, manned the tower at night, armed with pistols, shotguns or any available weapons. Gambulos had a machine gun from World War II. Cody said the tower seemed to be an effective deterrent. Gambulos and his family gradually stopped receiving threats. Cody said one of Byron’s men thwarted at least one bombing attempt. “He was just hanging out, smoking his cigar. And he was sitting down so you couldn't see him,” Cody said. Oklahoma’s Alcoholic Beverage Laws Enforcement Commission officials asked Gambulos to take down the tower about a year after it was erected, and police reportedly caught some of the people who had been involved in bombing the liquor store. 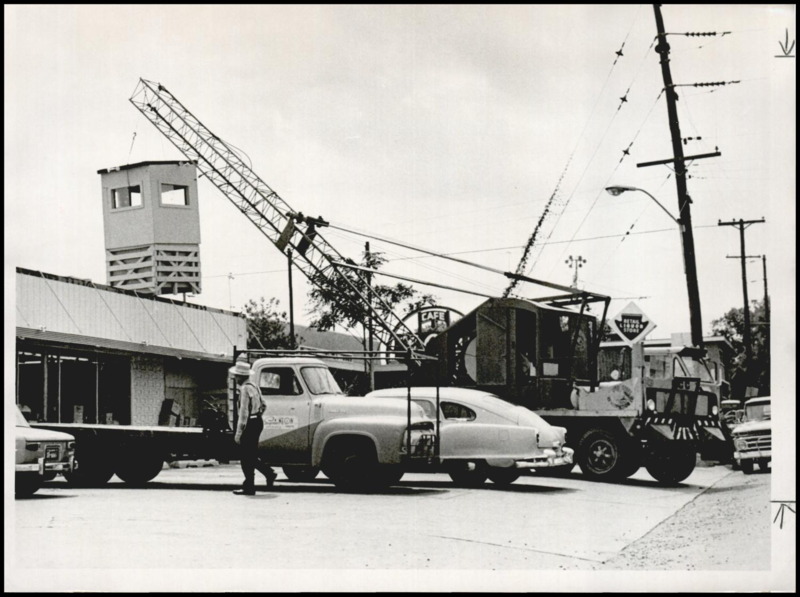 A Daily Oklahoman photograph from August 1965 shows a truck removing the tower from the roof of Byron's Liquor warehouse. Adam Hicks, who asked How Curious the question, said he is fascinated by the way Byron Gambulos handled this potential setback. “This is a man who was just trying to run a business,” Hicks said. How Curious is a production of KGOU Radio. It's produced by Claire Donnelly and edited by Jacob McCleland. David Graey composed the theme music. Email your questions about Oklahoma to curious@kgou.org. Subscribe to the How Curious podcast on iTunes or your favorite podcast app. How Curious: Is Lake Hefner In The Wrong Place? When John Hiller moved to Oklahoma City, he noticed a lot of businesses near May Avenue and 63rd Street have “lakeside” or “lakeview” in their names. His friend told him it was because developers thought Lake Hefner’s shore would be closer to that area. Hiller asked How Curious: Is Lake Hefner in the wrong place?